It’s that time of year again – shaving season. Looking out the window we can see the sun shining through and it’s not long before we’re going to be out on the boardwalk, or sitting by Okanagan Lake and contemplating taking a nice, long swim. Along with all the joys of summer however, comes the physical upkeep. Having to shave your legs every couple of days or waxing every few weeks is not just time consuming, it can have long term effects on your skin, leaving your legs dry and flaky. For those with thick leg hair, it also can leave unsightly bumps and razor burn, especially in the bikini area. There’s a solution for that – laser hair removal. There are a few factors when considering if laser hair removal is the right choice for you. Of course there are the benefits, but it’s important to remember that laser hair removal is not a one-time treatment. For laser hair removal to be effective it takes numerous treatments depending on the type of hair you have and its growth cycle. While this might seem daunting, the long lasting effects are worth the wait. Laser hair removal works best on dark hair and light skin. 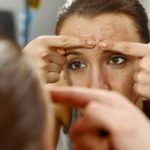 However, every treatment and every person is unique, which is why it’s important to find a skin care professional who will walk you through the procedure from start to finish. It’s important to fully understand the procedure that you’re undergoing. The Best Time of the Year? It’s Now! People often wonder when they should get laser hair removal. Laser hair removal can be completed at any time of the year, however the fall, winter and spring are ideal as your skin is less likely to be exposed to direct sunlight in the case of skin sensitivity. It is also not recommended to tan or have direct sun exposure right after a treatment. As we know, Kelowna summers are hot. Starting removal now can have you hair free and ready to show off your legs in your favourite shorts. There are many benefits for laser hair removal treatments, including the costs. When you weigh out the benefits of laser hair removal treatments, to the cost of having your legs waxed every 4-6 weeks, laser hair removal is often a more cost effective, not to mention long lasting option. Another benefit to laser hair removal is no longer having to worry about shaving and unsightly razor burn. There is little worse than getting ready for a day at the beach only to find that you’re out of razors, or having your freshly shaved legs irritated by lake water and sand. These annoyances can be eradicated through laser hair removal treatments. Laser hair removal is quickly becoming a popular option for long-lasting smooth skin. 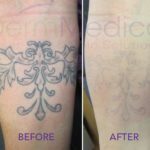 However, laser hair removal is a big choice, and we at DermMedica are here to help and support you with the answers to your questions. Give us a call for a consultation today.